Why Choose an ADA Member? Keeping your mouth healthy is essential to your overall health, and having a good relationship with your dentist is key. The dental profession holds a special position of trust in the community and the best doctor-patient relationships are built on that trust. 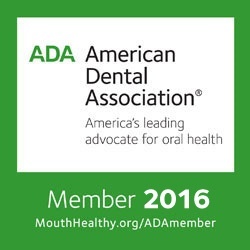 When you choose an ADA member dentist, you’re choosing a dentist who has access to a wealth of up-to-date information and resources, and has agreed to follow the ADA Principles of Ethics and Code of Professional Conduct and made a professional promise to put your health and well-being first. First adopted by the ADA in 1866, the ADA Code is under constant review. While legal and ethical obligations are related, they are not the same. Ethical obligations may–and often do–exceed legal duties. Here’s a breakdown of the 5 pledges dentists make in the ADA Principles of Ethics and Code of Professional Conduct and what you can expect at your next appointment. As a patient, you have the right to be involved in decisions about your treatment and to expect privacy and confidentiality. “The code reminds all dentists that they have the duty to put the patient first, to involve the patient in treatment decisions in a meaningful way and to treat the patient taking into account the patient’s desires, as long as those desires are within the bounds of accepted treatment,” says Dr. Linda Himmelberger. The best doctor-patient relationships are based on trust and honesty. “Truth in diagnosis and treatment planning is so vital,” Dr. Taylor-Osborne says. 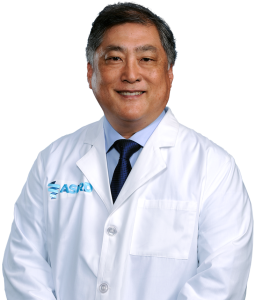 “Once you and your dentist have that trust, you can be partners, which will help you both gain so much going forward.”To find out if you are seeing an ADA dentist, ask at your next appointment or use the ADA Find-a-Dentist tool to find an ADA dentist near you.